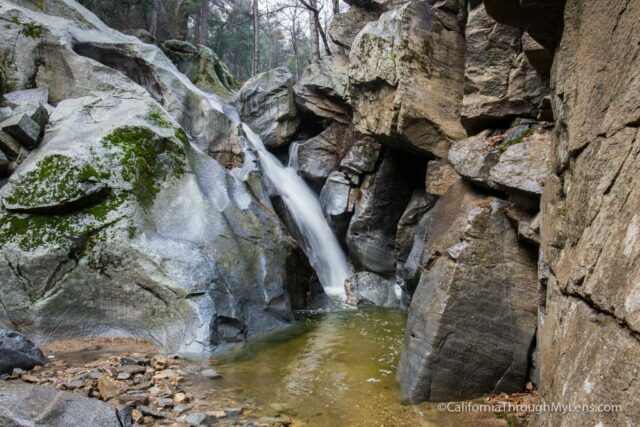 Heart Rock Waterfall, which is also known as Seely Creek Falls, is located in Crestline, CA at the end of a roughly 1 mile each way hike. 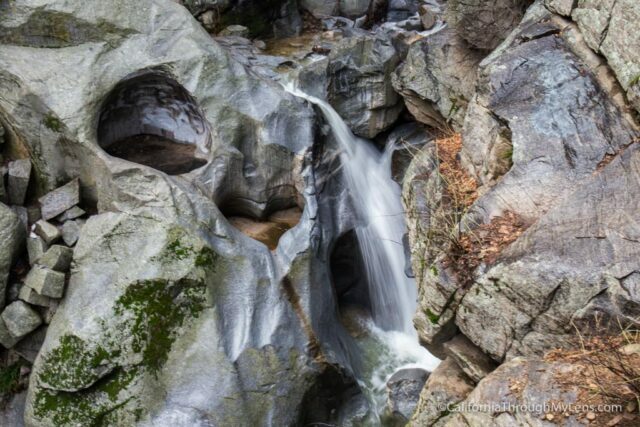 The waterfall is beautiful as it drops around 25 feet; however, the true draw of this hike is the fact that the waterfall has an almost perfect cut out of a heart right alongside it. The heart itself looks small in the photos, but could easily hold two adults in each of its halves. 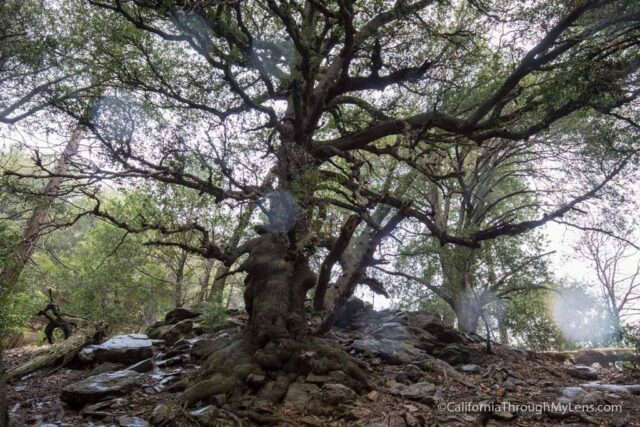 This is a little gem nestled in the San Bernardo mountains that I recently stumbled upon but had never heard of, even after I had lived in this area of CA for my whole life. 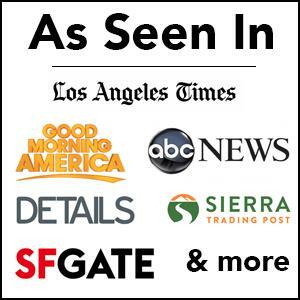 At only about a 30 minute drive from the Inland Empire and an hour and a half from LA, it is worth checking out. 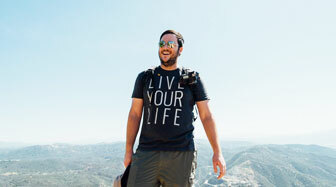 The hike is easy enough that the whole family can handle it, read on for all the information. Getting there and starting the hike is a little confusing as there are not really any signs or markers that point you on your way. 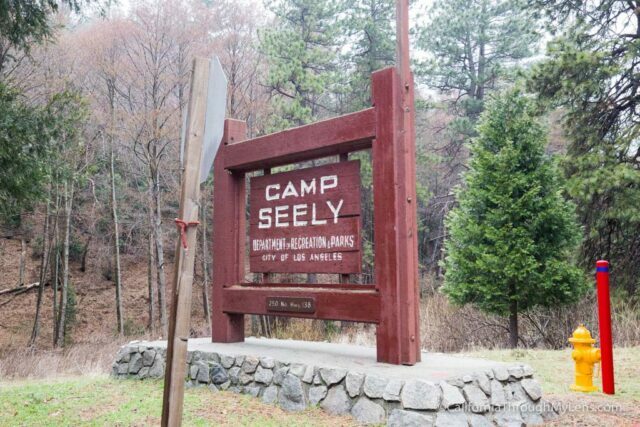 I would assume this is why many people have no idea it exists, but if you head up Waterman Ave from Highway 210 you can take it up into the mountains for about 13 miles then get on Highway 138 to Crestline, from there you weave around until you see the sign for Camp Seeley. Turn there, then go to the left away from the parking lot and make your way on this road till it ends. This is a one lane road so drive slow. 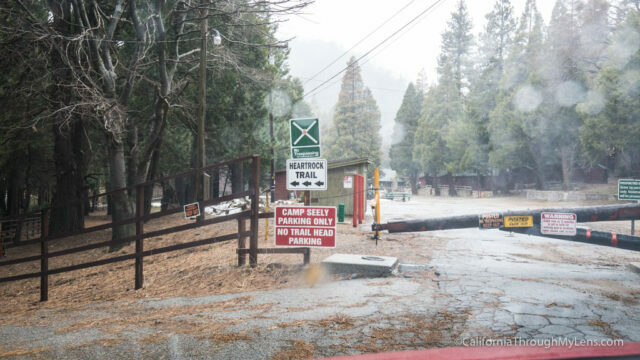 You can park there with your adventure pass, walk down the hill to the swimming pool and then start on the beaten path. When we were there, there were four other cars and after 5 minutes of walking, we passed some families making their way back from the falls. 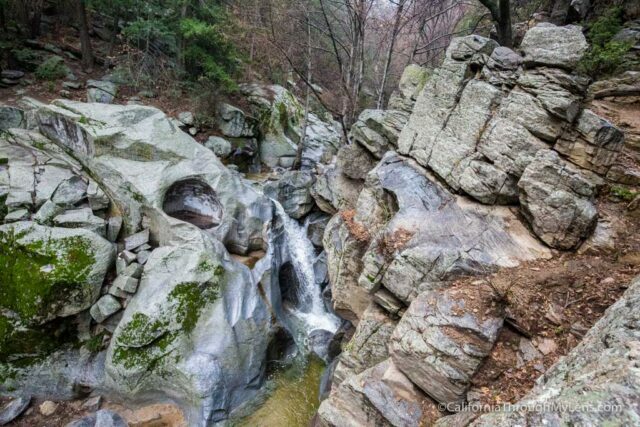 If you Google “Heart Rock Falls” in Google Maps you should be directed to it as well. The trail is shaded with beautiful trees and foliage, making it an interesting walk the entire time. 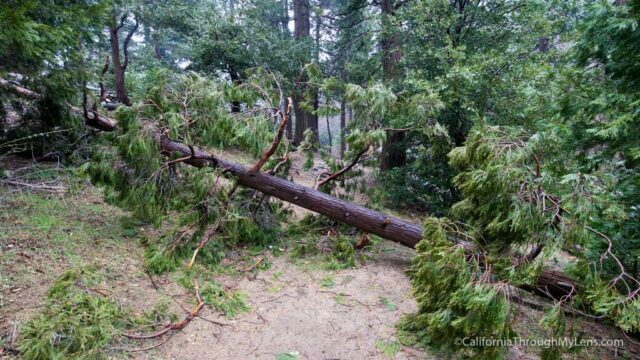 When I went last it was after a storm and there were a few trees that had fallen across the trail. Follow the river until you reach a huge tree that looks like it is from a Harry Potter movie, and you will see the trail split off. 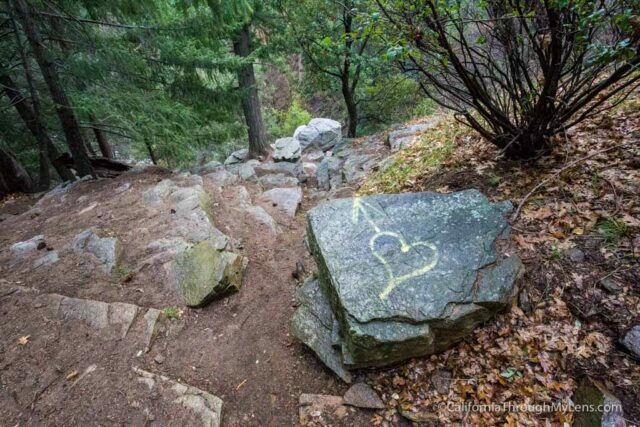 When I went in 2017, there was a heart painted on the rock which directed you down to the falls. I don’t approve of people doing this but it did make it easy to not miss the trail. At this split, head to the right and you will come out right above the falls. From here you can get great views of the heart, and you can even walk out on a ledge to see it better. This is a slightly scary thing to do though as it is a 40-foot drop and the ledge is slanted, so be careful. 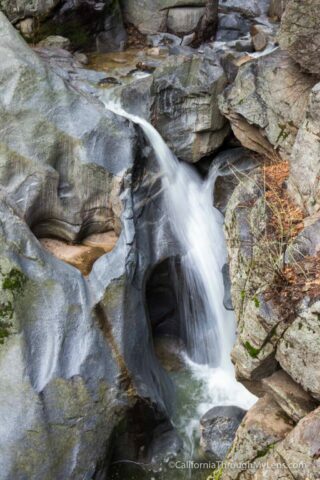 Explore the different rocks and you should be able to see a view of the heart and waterfall together. 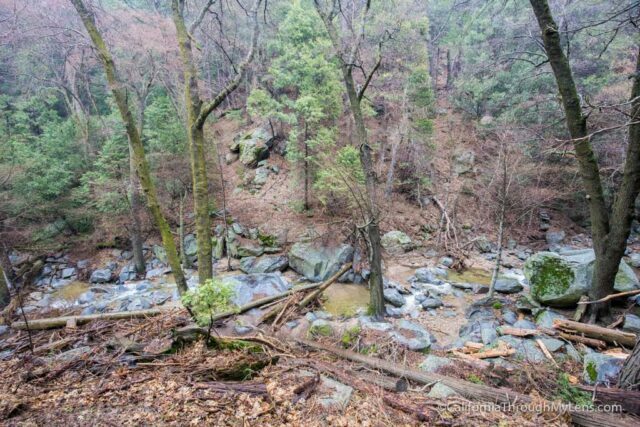 The waterfall tends to dry up in the summer, but if you go on a year with good rain you should see a decent flow. After that, we walked down to the base of the waterfall, which is beautiful at about 25 feet high. There are no view of the heart from this angle though. 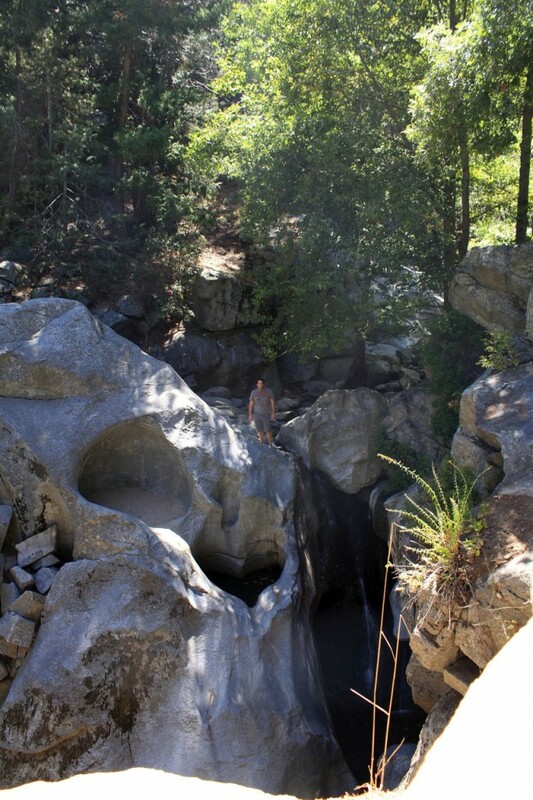 We explored and waded in the water, checking out the falls from all different angles before returning down the trail. To get a sense of the scale, you can see the picture below with me in it. I thought it was a lot smaller when I was reading about it online. Here is a video I made of the hike. All in all, this is a beautiful hike that is short enough for anyone to do but rewarding enough that you will enjoy your time there. Let me know if you have done this before in the comments.